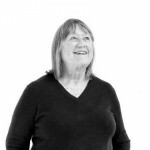 Nancy Harmon Jenkins is a food writer and journalist with a passionate interest in Mediterranean cultures and cuisines, sustainable agriculture, and farm-to-market connections. She began writing about food in various parts of the Mediterranean in 1975, and has a long list of publications to her credit. Her latest book is: Virgin Territory: Exploring the World of Olive Oil. Nancy Harmon Jenkins Thank you. Nice to be here. Curtis Cord You’ve lived in Spain, France, Italy, Lebanon, and Cyprus, a while in England, and Hong Kong, and you said in your marvelous book, “My classrooms have been markets, restaurants, farmhouse kitchens, and sidewalk cafes, and my professors have ranged from farmers in their fields and gardens, to fisherman on the docks, to pushcart vendors of all kinds of street food.” There’s a lot of great food cultures around the world. What is it about Mediterranean cuisine that drew you in and continues to inspire you for so many years? Nancy Harmon Jenkins Well, what drew me in was the fact that I was there. I was there by virtue of my former husband who was a foreign correspondent for various American news outlets, so we lived and traveled in all of those places. Once there, I realized that this was a place that called to my heart, or my heart called to this place. That may seem like a curious thing for a girl … Girl, yeah, who grew up in Maine, but nonetheless, something about the sunshine, the abundance of delicious food, the grace of the people, and the history, because I’ve always been very attracted to human history of any kind. Of course, a lot of our history began right there in the Mediterranean. A lot of our cultural history. All of those things combined, and the food was so good, the wine was so good, the olive oil … I didn’t, if you read the book, you know, I didn’t take to olive oil at first, but very quickly I adapted to it, and it became central to my cuisine because it’s central to the cuisine of all the countries of the Mediterranean. Curtis Cord Nancy, this is a wonderful book, Virgin Territory. Why did you write this book now? Nancy Harmon Jenkins Well, I felt challenged by the fact that … A number of things. Obviously because all the research has been done, I knew that olive oil was very good for us, and that it should be part of a healthy diet. I knew that the Mediterranean-style diet was a very healthy diet, and you couldn’t have that without olive oil. I also knew that it was central to creating all those delicious Mediterranean dishes. I found an impoverishment of knowledge and experience about olive oil in this country. I’m afraid that impoverishment still goes on, despite my efforts, and the efforts of various other people to educate people about olive oil. There’s so much resistance to it. So many chefs who think they know about olive oil and continue to send out a little bowl of rancid olive oil for you to dip your bread in while you’re perusing the menu. That’s what I’m fighting against. Curtis Cord You said you began a futile search for the best olive oil. Why is it futile? Nancy Harmon Jenkins Because in the end, I don’t believe that you can say that such and such is the best olive oil. I go back to another wonderful book about olive oil, Mort Rosenblum’s book, what is it called? Olives: The Life and Lore of a Noble Fruit. He talked with Juan Vicente Gomez Moya, who was then the head of the Spanish national board for promoting Spanish olive oil. He said, “Okay, so what’s the best olive oil?” Juan Vicente looked at him for a long moment and then said, “What’s the best cheese? What’s the best wine?” It’s an irrelevant question. You can talk about good olive oil and bad olive oil, but you can’t say that one olive oil is the best, or the olive oil from one region, or one country, or one variety is the best. It all depends on personal taste, how the olive oil is made, what you’re going to use it for. So many factors enter into it. Curtis Cord I couldn’t agree more. One of the things I love about your book, Nancy, the recipes call for the use of olive oil in quantities that make sense to me. I’m talking about a quarter cup here, a half a cup there. I’m so tired of recipes that include olive oil in teaspoons and tablespoons. Nancy Harmon Jenkins Or dribbles, or drizzles. Curtis Cord As if their inclusion is really more of a formality than anything else. I’ve never used a measuring spoon for olive oil in my life, and I never will. Nancy Harmon Jenkins Well, good for you. I do think that … I hate that term “drizzle.” A drizzle of olive oil. Drizzle a little extra virgin over the top before you send it to the table. I absolutely refuse to use it. I think olive oil, if you’re going to use it you have to use it in quantity, otherwise you can’t taste it. If you’re making a complex pasta dish with a lot of flavors going into it, and you put a teaspoon of olive oil on the top before you send it to the table, what good does it do? None whatsoever. Curtis Cord Yet at the same time, I don’t know if you’ve noticed, but more producers now are fitting their bottles with a so-called tamper-proof pourers that prevent restaurants or anyone else from replacing the oil with another one. The unintended consequences of the new tops is that it takes half an hour to pour a meaningful amount. It’s come to a point that my choice of oil for my cupboard stash might just depend on how much of a hurry I’m in. Nancy Harmon Jenkins You’re absolutely right. Although I approve of this in Italy, and in America, these tamper-proof tops for restaurants. I think there’s far too much bad oil. You know, what happens is, they put out a bottle of olive oil, and they use up half of it, and the rest of it is sitting there on the table in the light, and the warm air of the restaurant, and it starts to go a little rancid. They take it back to the kitchen and they pour some more good olive oil in on top of it. Of course, that immediately picks up the rancid flavors of the old olive oil that was in there. That’s just not a good thing. That’s not deliberately trying to deceive the customer. That’s just plain ignorance. Then there are the people who will take a fancy bottle of estate bottled Tuscan, blah, blah, blah and pour into it some mixture of olive oil from lord knows where and expect the customer to accept it as the estate bottled oil. That’s downright deceptive. Curtis Cord You were among the very first writers to take a long in depth look at extra virgin olive oils, and this is a food that’s been cherished for thousands of years. Who were some of the others who you think began to understand and write about the complexities of this product early on? Nancy Harmon Jenkins Well, I mentioned Mort Rosenblum, and he’s a good friend of mine. He certainly has been … I don’t know how much attention was ever paid to his book, but it is a wonderful book. I don’t know if you’re familiar with it, but Mort, because he was the top foreign correspondent for the Associated Press, was sent from place to place all over the world. Wherever he went where people were making olive oil, he stopped and he settled down, and he asked them how they were making it, why they were making it, what they sold it for, et cetera, et cetera. He also owns his own olive farm down in the south of France. I tease him that he’s a typical Provencal oil producer, because he harvests late, and he doesn’t … His oil is okay, but it’s not, for me as a Tuscan olive oil producer, it’s not up to my standards. Nonetheless, he really understands it, and he gets it. I think Tom Mueller’s book has been very important, even though I think it’s done a great deal of damage to the reputation of Italian olive oil especially. There’s a lot of really … Tom is a great reporter, and there’s a lot of really interesting stuff in that book. Most of the other books that I’ve come into contact with, that I’ve taken seriously, have been written by people, mostly women, in California, about California oil. Peggy Knickerbocker is one of them. These books are very good and very valuable, but of course they’re dealing exclusively with California oil, and to my mind, that’s not where the interest is. The interest is in the history and culture of olive oil, and for that, you have to go to the Mediterranean. Curtis Cord I was surprised to see when I looked recently how early, and I’m talking about the 90s, that Florence Fabricant for example, at The New York Times, began taking a serious look at the complexities of olive oil in her writing. Nancy Harmon Jenkins Well, I think Florence has always, not just with olive oil, but with all kinds of foodstuffs, especially because she’s right there in New York, she has access to a wide range of different qualities in any particular foodstuff, whether we’re talking about, I don’t know, cheddar cheese, or a certain wines, or olive oil, or whatever. That helps to educate her. I was astonished, when I was working on Virgin Territory, to go back and see how late it was that we began to be concerned about extra virgin olive oil in this country. Of course, extra virgin as a definition is fairly late itself. I think the International Olive Council is celebrating maybe its 50th anniversary this year, or next year. They were the ones who set these standards for extra virgin. Before that, it was simply a term that was thrown around very casually, but didn’t have any legal credibility at all. When I went back and looked in The Times, I wrote a story for The Times in … Oh gosh, it must have been in the mid to late 80s principally about Italian olive oil. My source for that story was a man named Maurizio Castelli, who was both a wine expert and an olive oil expert in Tuscany. He sat me down at an estate in Tuscany and went through a tasting of different kinds of olive oil. Even though I’d spent all that time in the Mediterranean, and even though I was pretty sure I could tell the difference between a standard Spanish oil and a standard Italian oil, nonetheless I was astonished at how greatly varied the flavors and aromas were in these oils, and what Maurizio could lay those to, whether it was variety, or method of production, or whatever. That was a real eye opener for me. Then when I went back and looked, I saw that Mimi Sheraton had mentioned olive oil in the early 80s I think, but sort of in passing. When you go back to Gourmet Magazine for instance, you find that they were talking about an olive oil that was made by … Do you remember who Lee Iacocca was? Nancy Harmon Jenkins Yeah. Well Lee Iacocca apparently for a while at least, had a farm in Tuscany and he made olive oil there, and Gourmet Magazine was touting the virtues of this olive oil, and saying it was particularly good because it had no cholesterol in it. Well, that was kind of ludicrous when you think about it, because olives after all are a fruit. Of course they don’t have any cholesterol in them. Before that, it was very scary and sporadic, and there were even articles in Gourmet that talked about … This is during World War II. They talked about so-and-so in Philadelphia finally got a shipment of olive oil. Well the olive oil by the time he got it through all the blockades and so forth, was 4 years old, and nobody thought that there was something surprising or undesirable about that oil. It was olive oil from Italy, so there we are. Curtis Cord We had on the show Maria Jose San Roman recently, the Spanish chef in Alicante, who I think is among a very select group of high profile chefs who have taken the time to learn about extra virgin olive oil, and what it can do. Who else would you include in this elite club of chefs who get it? Nancy Harmon Jenkins I think Bill Briwa at the Culinary Institute of America. He’s a teacher there. He’s maybe head of the culinary department. I’m not sure of that, but he has an amazing palette, and he can sit you down with a variety of, let’s say 6 different foods, maybe some rare roast beef, a plate of beans, some tomato sauce, maybe plain pasta, or a boiled potato, something like that, and he can show you how the flavors of olive oil, of different kinds of oil, can change your perception of each of those foods. I know that Maria Jose has been a part of that incredible exercise in education that goes on. Unfortunately, I don’t think the CIA, Culinary Institute of America, spends anywhere near enough time on olive oil. They spend a lot of time on wine, and they spend very little time on olive oil. I have to ask you, which is more important in any chef’s kitchen, wine or olive oil? Of course it’s olive oil. They need to know about it. Maria Jose is amazing, and do you know, she said herself … When I first met her, she was a great saffron expert, as she still is. She said, “I just used olive oil in my kitchen, because that’s what we use in Spain,” but I think that it was probably Rosa Vano from Castillo de Canena who introduced Maria Jose to the idea that olive oil could have enormous variety, and could be used in many, many different ways. One of the recipes that Maria Jose introduced me to that I thought was just fabulous was to take an fairly ordinary tomato sauce just made with a little garlic, a little olive oil, maybe a bit of onion, and some tomatoes. Then once it’s cooked down, beat it until you’ve got a smooth emulsion, and then beat in a quarter of a cup of raw olive oil, raw extra virgin olive oil. It does extraordinary things to the tomato sauce. That’s not what you asked me. You asked me about chefs and I’m wracking my brain. Curtis Cord That’s okay. In fact, Maria Jose demonstrated that sauce to us at the event in New York that we produce each April. You were talking about the CIA, that they don’t dedicate much of their time to olive oil. You know, no schools do. I mean, no cooking schools in this country as far as I know have any kind of program for extra virgin olive oil. Not the International Culinary Center in New York, not the culinary schools, many around here. I haven’t seen one. I haven’t received any calls. We just don’t know of any, and that’s just surprising. Nancy Harmon Jenkins Well, it isn’t really surprising when you think that their whole focus really is on French cuisine, with an occasional nod to Italy, and an even more glancing nod to Spain. They don’t seem to realize that anything exists. As far as their concerned, France is all about butter. If you go back and read Julia Child for instance, her earliest book, Mastering the Art of French Cooking, it’s just butter, butter, butter, butter all the way. I don’t think Julia had any understanding of olive oil at all. It was that Italian stuff that she pretended because she was very diplomatic to like, but she really didn’t. She was a butter babe from the start. Curtis Cord You’ve probably heard about the $60 million food market Anthony Bourdain is building in New York. The way he talks about flying in a guy who makes the best tostadas from a street cart in Ensenada, Mexico, or striking a deal with someone who makes great rice at a stall in Singapore, to come to New York and set up shop at the market. Is this the [Disney-fication 00:14:54] of street food? Nancy Harmon Jenkins Oh, I think absolutely. I think New York is the Disney-fication of food in general, not just Anthony Bourdain. I mean, I think Eataly is the Disney-fication of Italian food. It’s turning food into a commodity, not even just a commodity, a commodity of conspicuous consumption. This is one reason I think why chefs like my daughter get so fed up with New York, because everybody’s looking for what was in The New York Times this morning, and nobody cares about what was in The New York Times last week, or 2 weeks ago, or what’s genuinely good, but hasn’t been discovered yet. The idea that you can take a person out of Mexico, out of a Mexican street scene, or out of a Singaporean street scene, transport them to New York, and have anything like the same experience is bizarre. It’s like transporting certain varieties of fruits and vegetables to California, or Texas, or somewhere, and expecting them to taste the way they do in their inherent surroundings. It’s just not the way it’s done. Curtis Cord Not to mention that there are likely quite a few very good carts making tostadas in New York. Nancy Harmon Jenkins Yes, indeed, and why not search them out and give them credit for what they’re trying to do, and boost them a bit rather than … I mean, the idea is so absurd, I just … If I were still practicing regular journalism, I would go find that guy in Mexico and follow him through the entire experience. I think it would be a hilarious article for one of the old food magazines that don’t exist any longer either. Curtis Cord Or a documentary film. Nancy Harmon Jenkins Yes. Exactly. That would be terrific. Curtis Cord Have you ever seen anyone take as long as Mark Bittman to say goodbye? Nancy Harmon Jenkins Oh, please. Did you see what Mimi put up on Twitter? Curtis Cord No, what’s the latest. Nancy Harmon Jenkins I left The New York Times in 1987, and I published a book a couple of years later. They wouldn’t even review it, because I was too closely related to The New York Times. It would look like promoting one of our own. Now they’re just a big promotion machine for their writers. Curtis Cord I can’t believe how much space they’ve given him to say goodbye. Nancy Harmon Jenkins What is he doing? He’s going off to make money. Nancy Harmon Jenkins It’s not as though he’s going off to feed the hungry in Africa or something like that. Nancy Harmon Jenkins It’s FreshDirect. It’s like FreshDirect, except with vegetables I think. Curtis Cord Yeah. What do you think about those food delivery services such as the one Bittman started? Have you ever tried one? Nancy Harmon Jenkins No, but my daughter uses FreshDirect in New York and finds it very useful, because she’s a hardworking chef in the city. She has a kid and a family at home in Brooklyn, and she finds, first of all, that she can get anything she wants from toilet papers, to butter, to olive … Well, I don’t think she buys olive oil from them, but she doesn’t need to. She can get everything she wants, and at a quality she appreciates, and at a price she can afford. For her, it’s terrific. Curtis Cord Someone gave me a gift subscription to the Blue Apron service for a few months. First of all, I was shocked by the insane amount of packaging that was used. Most of it was cold packs, so many cold packs in each shipment. They’re very heavy, so I thought of the fuel that was necessary to transport my one Vidalia onion, one little pack of Herbes de Provence, a few chicken breasts, and fingerling potatoes. Secondly, I thought, do I really need someone to show my how to cook this in a pan, or how to make a pizza? Everything was made in a pan on the stove, because they can’t assume that anyone has a grill. What it comes down to I think is first of all, the ingredients. On an average night at your Tuscan home, a night when you’re not preparing for a photo shoot … I loved the images in your book, by the way. Nancy Harmon Jenkins Oh thanks. Those are wonderful. That’s Penny De Los Santos. She’s so gifted. Curtis Cord Where do you go to gather the ingredients for the evening meal? Nancy Harmon Jenkins I go to the cantina behind the kitchen, and there I’ll find pasta, I’ll find canned tomatoes, or tomatoes that we’ve put up ourselves. We’ve always got plenty of olive oil. We’ve always got a hunk of Parmigiano Reggiano. We usually have some dried mushrooms, salt, and pepper. We have rosemary, and thyme, and various other herbs growing in the garden right outside the kitchen door. What more do you need? I mean, if we’re hungry for meat and we don’t have any meat in the house, we make due without it. Because we are in fact 20 kilometers over a very twisting mountain road from the nearest good meat market. Curtis Cord In Camden, how is your shopping different in the states? Nancy Harmon Jenkins Well, the one big difference is, right now in Maine I have a frozen parsley plant on my front steps, and nothing else fresh at all. I can find very good quality meat. Of course, superb seafood. The Maine sea scallops that are in season right now are fabulous just flashed in a pan with a little olive oil. They’re just delicious. I can find good cheeses. I use my own olive oil, almost exclusively. Curtis Cord It’s the produce that’s the problem. Nancy Harmon Jenkins The produce is the problem, and today I’ll be going … After I finish talking with you I’ll be going to the winter farmer’s market in Belfast, and there I’ll probably find some greenhouse greens that will cost me as much as a T-bone steak, and that’s it. Otherwise it’s carrots, and turnips, and beets, and stored vegetables. It will be that way for another three months at least. Nancy Harmon Jenkins No. That’s such a wonderful recipe, but I have made it with Florida oranges. Curtis Cord Or harissa for your carrots and chickpeas in chermoula sauce. Can we make Mediterranean meals in small town USA? Nancy Harmon Jenkins Yes. Absolutely. It just takes a little thought. It doesn’t take Blue Apron, or FreshDirect, or Mark Bittman’s group to do it. You do have to eat according to the seasons. You can’t make a good eggplant dish in Maine or Rhode Island in January or February, because the eggplant’s not going to be any good at all. That’s why in the other book that I published last year, which we haven’t mentioned, The Four Seasons of Pasta, which I wrote with my daughter, we talk about the seasonality of pasta, and the fact that these eggplant dishes really belong in the summertime. Right now we’re talking about squashes, and onions, and wonderful winter greens, Tuscan kale, lacinato kale. I love that. There’s plenty of that around. It takes good farmers. Farmers are as conservative as fisherman when you try to get them to change their habits, but you can by steady insistence, get them to see that these winter vegetables that are customary in Mediterranean countries, it’s also possible to grow them here in the northeast. There’s a market for them. Curtis Cord Speaking of farmers changing their ways, I was just amazed … By the way, I just adore your book. Especially the beginning of it, when you’re talking about your own experiences there in Tuscany. I was just amazed to read some of the methods that farmers used in your area to make their oil. For example, letting the olives sit for months before pressing so they weighed less when they were brought to the mill where they paid by the pound. Because they thought it yielded a better oil. We thought nothing of the lousy coffee we drank for generations until someone invented Starbucks. How have things changed in your little region in recent years? Or haven’t they? Nancy Harmon Jenkins Well, one of the biggest changes has been the fact that everybody’s planting olives. When I started planting olives, probably I think my trees now are about 12 or 15 years old. When I planted them, everybody said, “Oh my god. There she goes again. That foreign Signora doing something that’s totally unacceptable,” because we’re up at about 700 meters. We’re really at what was traditionally thought was the upper limits of olive cultivation and nobody … Everybody had a half a dozen trees, and everybody made a very little amount of oil, but nobody did it seriously. I planted 150 trees, and it’s true, the boar came in, and they knocked over a couple of trees, and I lost 3 or 4 to cold winters the first couple of years, but they’ve thrived. Now my neighbor has planted olives, and the guy up on the hill who was most cynical of all has planted olives, and everybody’s getting into it. They’ve gone from being these crusty old farmers, saving their olives for 3 or 4 weeks before they take them to the mill, to somebody who actually plants more trees, gets out there, harvests early, gets the olives to the mill as quickly as they can, and presses them as quickly as they can. That’s another big change that’s taken place, is the change in technology. This whole continuous cycle method of producing oil. I love traditions, but I think nothing has improved the quality of olive oil more than the widespread adoption of continuous cycle stainless steel methods of extracting the oil. Because it’s so clean, and it’s so fast, and everything happens away from contamination by light, and heat, and the cigarette smoke that is no longer allowed in my olive mill, but used to be kind of a cloud of cigarette smoke everywhere, fragrancing the olive oil. All of those things have changed enormously, and I think people are now very proud of the olive oil they produce, whereas before it was just something that they kind of did because their grandfathers had done it. Curtis Cord Finding great olive oil to use in one’s dishes has never been easy, but let’s face it, Tuscans and the rest of the world have gotten by for a long, long time with average oil at best. In fact, as you mentioned, even in the work of Ancel Keys in the longevity studies of the so-called blue zones were during a time when no one produced what is now considered to be high quality olive oil. Getting back to the gathering of the necessary ingredients for a Mediterranean meal, is it really necessary to have a $40 bottle of oil in your pantry. I’m not going to deep fry chicken wings in $40 a bottle olive oil, but I am going to use it in a lot of my cooking, and I’m certainly going to use it in my garnishing. Not by the dribble, but by the quarter cup. I’m certainly going to use it on my salads, and I’m certainly going to use it to understand what the bottom line … Maybe I should say what the top line is, in terms of quality. I think it’s very important to understand that. I like to use the analogy with something like making a Boeuf Bourguignon, for instance. You’re not going to use your finest burgundy that costs $40-$60 a bottle to dump into a beef stew, but you’re going to use the best quality red wine, preferably from that region, that you can afford. Then you’re going to serve the $40-$60 a bottle of wine in glasses for your guests to enjoy along with the beef stew. The same thing goes with olive oil. You’re not necessarily going to use that $40 a bottle oil for everything, but where it counts, you’re certainly going to be able to tell the difference between that and Colavita. Curtis Cord I’m sure near Camden there’s a shop that sells bulk olive oil from fusti. Curtis Cord I know there’s one in Rockland. Have you been to it? Nancy Harmon Jenkins Yes. In fact, I worked fairly closely with Pat O’Brien, who’s the co-owner with his wife of that shop. I am of two minds about those shops. I think in some cases, and in that case particularly, the people who own it, they have educated themselves about olive oil, and they know what they’re doing. I do not recommend their flavored oils any more than I recommend their flavored balsamic vinegars. As far as going in and tasting a bunch of different oils from different parts of the world, made from different varieties of olives, I think it can be a good educational tool for people to use. I don’t usually by oil from them, simply because I don’t have to. I think you have to have a few reservations about those places. Clearly there are some of those places where people are much less educated, and they’re just selling olive oil because it’s the chic thing to do these days. Almost all of them that I’ve seen seem to be made up of usually a husband and wife team. Husband has retired from a high-powered job, and they’ve decided to do something else for the rest of their lives. They think, “Gosh, wouldn’t it be fun to sell olive oil?” And so they do. Sometimes they make a success of it, and sometimes they don’t. In this case, he’s made a terrific success of it. I don’t know how much of an impact he’s had on the way people in Maine think about olive oil, but I encourage people to go in there and taste. My one objection to it, is that there is often the assumption that somehow the owners had gone out and personally selected these oils. You know as well as I do that they all come from a warehouse in Oakland, California, and are selected by somebody else. Not all of them, but many of them. There’s a slight marketing deception going on in some of these places that I object to, but it’s not serious enough for me to get too exercised about it. Curtis Cord Another way people might be able to source good olive oil is online, which can mean spending easily $80 or $100 per liter. Is it worth it? Nancy Harmon Jenkins Yes. I think it is. I think some of these online shops, and I think there are several that I mention frequently. Unfortunately, most of them seem to deal exclusively with Italian olive oil. I’m thinking of Gustiamo dot com, and olio2go dot com, exclusively Italian. There’s also Market Hall Foods in Oakland, Market Hall Foods dot com, which has oil from all over the world. Especially it’s a good source for high quality California oils. Of course, Zingerman’s Deli in Ann Arbor, Michigan. These are all places that I am certain that these people have personally selected the oils, that they’ve worked with the producers, that they know the quality of what they’ve got. If you buy an oil from them, and it isn’t up to quality, you can send it back, because they stand by what they produce. That’s one reason why I think it’s good to deal with people like that. The only problem, of course, is unless you go into the shop, which you can’t really do at Gustiamo, but you can at the other 3, you can’t really taste the oil. I mean, if you go to Market Hall Foods in Oakland, they often have a half dozen oils out for people to taste, and they don’t just put those oils back in the bottle at the end of the day. They take them to the kitchen and they use them in their prepared foods. Every day that’s fresh oil, from a freshly opened bottle, out for people to taste, and assess, and compare, and decide which one they want to buy. That’s a very useful thing for a shop to do. Curtis Cord Imagining for a moment that I didn’t have what just might be the world’s largest collection of high quality olive oils, I think I would probably adopt the strategy of choosing one producer somewhere in the world, each year around this time, during the harvest, and flying in 2 cases to last me until the next harvest. I’d probably pay about $10 a bottle, so for the 24 bottles it might be $500 to ship by air, for an average cost of about $30 a bottle, or I could try sending it by ocean, which would cost far less. The problem is, and will always be, the shipping for those of us here in the states. Either you pay the producer directly, and ship it yourself, or you pay a handsome fee to distributors and retailers to do it for you. Do you know of any better way? Nancy Harmon Jenkins Well, I’ll tell you, one of the great revelations for me in the last couple of years, we used to have this problem, because we don’t produce a lot of oil. The most we’ve ever produced in a single harvest is 120 liters. That was a couple of years ago. We like to ship back to this country at least 50-60 of those liters. We pack them in 3 or 5 liter tins. We pack them ourselves, and we take them to Mail Boxes [Inc 00:32:19], in the town of Bettolle in Tuscany, and they will send that oil for an astonishingly low price. I mean, I think we pay $100, we ship it to Sarah’s restaurant in New York, and then she subdivides it, ships some to her brother, and some to me in Maine, and keeps the rest to serve in the restaurant. Curtis Cord You pay $100 you said? Nancy Harmon Jenkins $100, maybe $120. It’s almost worth your hopping in a plane and flying to your favorite producer and getting it that way. I always used to wonder why it is that more producers of high quality oil don’t ship in bulk, that is, in a bulk container of oil, and have an arrangement to have it bottled over here. Because the idea that you’re paying all that money to ship glass bottles across the Atlantic, it’s repugnant to me. Nobody seems willing to do it, and I suppose it’s because they don’t trust what happens on the other side. Curtis Cord Virgin Territory is much more than a cookbook. It’s an autobiographical lesson in olive oil, and a handbook that will serve as a reference for years to come I think. How have people responded so far? Nancy Harmon Jenkins Well, I’ve had very, very positive responses. The sales have not been high, which surprised me. I’m glad to hear you say that it’s more than a cookbook. I had certain disputes with my editor over that, who kept insisting, “It is indeed a cookbook.” To me, the most important part is all the introductory material before you get to the recipes, because that’s where you really learn about olive oil. You learn how to buy it. You learn how to use it. You learn what the health aspects are of it, and you learn how, and why, good oil is made the way it is. That’s been terrific. The public response has been terrific. I hear people going on NPR and talking about olive oil, and I think, why didn’t they call me? They didn’t call me because, at NPR in Washington, they don’t know who I am. That part of it has been a mystery to me, but I’ll keep out there plugging for olive oil, because I do think it’s one of the most important ingredients in our kitchens, if not the most important ingredient. Maybe not as important as salt, but close to it. I do think we are deeply, deeply ignorant of what quality is and how to determine it. Curtis Cord The book, from Nancy Harmon Jenkins, is Virgin Territory: Exploring the World of Olive Oil. Get it on Amazon where it’s getting rave reviews. Nancy, thank you for the great book, and an interesting discussion today. Nancy Harmon Jenkins Thanks so much, Curtis. It was good to talk with you.